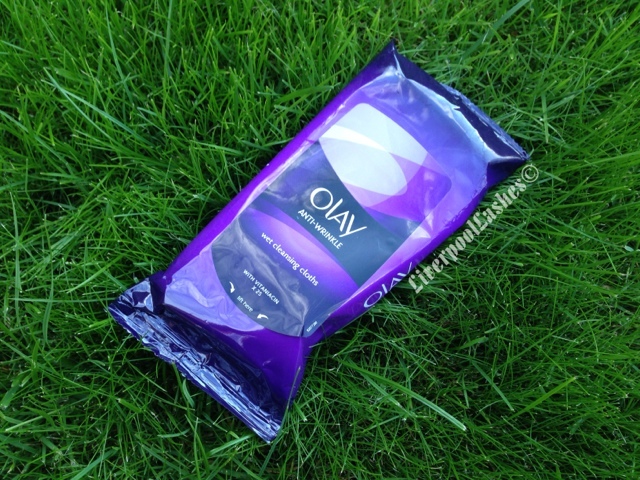 I bought the Olay Anti-Wrinkle Wet Cleansing Cloths With Vitaniacin on a whim because I saw they were half price and since these bad boys are considerably more expensive than any other face wipes I've ever laid my eyeballs on before in my life I decided to give them a whirl. My thoughts? Yeah they're just a make up wipe. If I'd paid full price for them I'd have to give myself a slap around the chops for believing that a pack of face wipes are going to wipe away the years. I'm sure legally, to advertise the above claims there are some sort of research on it but here's the bit I struggle with, the best thing for your skin is to remover your make up properly via the correct methods which no make up wipe can achieve, no matter how fancy they are. Now I can almost hear you shouting 'Well why did you buy them then Karen if that's your attitude?!' Well I buy make up wipes to take off the bulk of my make up, I don't like the feeling of having to make any cleanser really work. I prefer to sit in front of my television in the evening, do it that way and then follow a full skincare routine before I hop into bed. The bottom line is.. My skin feels smooth once I've used it, but then it does with any other lower priced product including a good old fashioned baby wipe. Just like all anti-ageing products, we will never know the true assistance they give until it's too late, we just try and convince ourselves that it's all an investment for the future. If you like these then great, but I've marked them under the 'ain't nothing special' category. Friends, I am Priyanka Manchanda. When I suffered from Wrikle Problem, then I go many clinic centers but I did not satisfy from their treatment. Then I search on google for Wrinkle Treatmement. I found klinikesthetika on google. Then I visit there and I take the service and I find a best treatment in Skin Specialist in Delhi. Now I am very happy with this treatment. Thanks to klinikesthetika.